What if I told you there was a way to build more wealth without sacrificing your lifestyle? What if you had a solution to saving more money for your future without giving ANYTHING up today? Yep, that’s right. It’s all you have to do. And, if you are like the average American, then you should start today! There is a good chance that if you are reading this you are behind on your retirement savings. 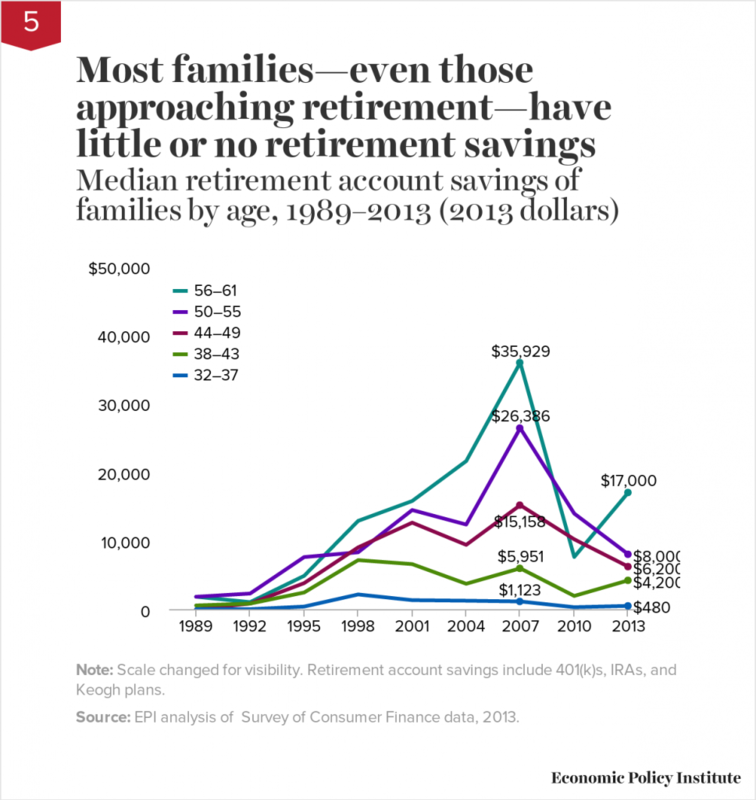 If we look at the families that do have retirement account savings, we find that the average American family has less than they will need to achieve their goals. Retirement savings for most Americans is inadequate. Tomorrow’s retirees will need to rely on savings in 401(k)-type accounts to supplement Social Security in retirement. 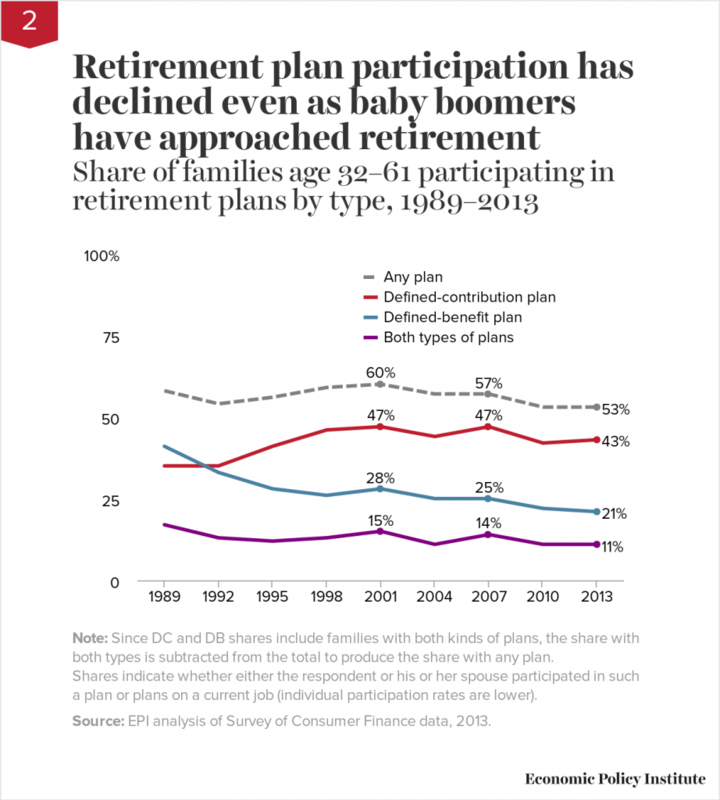 This is a major shift from a few decades ago, when many retirees could count on predictable, constant streams of income from traditional employer related pensions. the projected retirement income for future retirees will not be enough to cover rising living expenses during a full modern retirement (which often lasts 3 decades)! If I’ve just described you, then the first thing I want you to know is that it’s okay. You see I am a big believer that it’s okay not be okay, but it’s not okay to stay that way. I want to help you change the current path you are on by showing you that there is a simple way to begin heading in the right direction. It is possible! Saving half of your raises is a great next step for you. Make today the day that you get intentional about creating a better future for yourself. If you follow this one simple step, you will accomplish more than you ever thought possible with your money. Trust me…twenty years from now, you will not regret the decision to save half your raises! By following a plan of saving 10% of your income and spending the other 90%, you will be increasing your standard of living by 90% of every raise you ever receive in the future. Over your career, this means that your lifestyle rises just as fast as your retirement contributions. Ultimately, this means that the amount of assets needed at retirement to generate an income that covers your standard of living gets larger and larger — making it very difficult to ever reach your retirement goal at all! Compare the traditional “Save 10% of Your Income Plan” to a plan where you limit your increases to your lifestyle expenses by spending just 50% of your future increases in income, and saving the other 50%. I like to call this “The 50/50 Rule of Future Raises”. By following The 50/50 Rule of Future Raises, the increases to your standard of living are much more controlled and your lifestyle expenses rise much more slowly. If you follow this rule, then your savings rate (% of income saved) will grow exponentially and your spending rate (% of income spent) will actually decline as your income grows! This is how people retire early while still enjoying a rising lifestyle! The only difference to your lifestyle is that the increases to your standard of living aren’t as big and fast. That’s not a bad trade-off for actually being able to retire someday within a reasonable timeframe, and with a stream of income that covers your standard of living. The real power of this strategy lies in the fact that you don’t have to make any sacrifices to your current lifestyle while saving an increasingly larger percentage of your income between now and retirement! We all want to have our cake and eat it too! We want to save more money, but we don’t want to give up anything to do it. By saving half of your raises it’s possible, because you are simply waiting for your next raise or bonus, and then you have the opportunity save more while also spending more. By giving yourself permission to spend half of every raise, it also feels much easier to save. It’s a balanced approach to enjoying your life today and preparing for your future life. Commit to being content with your current lifestyle until you are on track for retirement. Consider today’s income your new baseline. If you are already saving a portion of your income towards retirement, then continue to save that portion PLUS half of any raises. If you aren’t saving anything towards retirement, then simply begin to save half of any raises. Start a spreadsheet to document your baseline and your commitment. As you save a portion of each raise, calculate your new savings rate and spending rate. You will be amazed at how those change after just a few years of following this strategy. As we approach the end of the year, it is likely that your company will be offering you a bonus or salary increase. Companies often declare or pay bonuses in December as they review employee performance. Many companies also like to declare pay increases at the end of the year, so that they are effective January 1st. This is a great time to start following The 50/50 Rule of Future Raises. Once you’ve made the commitment to save half of your raises you will want to put this money to work for you. You don’t want your money just sitting idle in cash or a low interest savings account. The biggest threat to your retirement is a low savings rate. Now that you’ve found a way to solve that problem, your next biggest threat is inflation, which is simply the increasing cost of everything we spend our money on over time. You need to invest your hard-earned retirement funds in something that has a good chance of growing at a rate that is faster than inflation. Not only do you want to keep up with inflation, but you want to increase your buying power over time. I know that my blog attracts a lot of readers who are already putting a significant amount of money away for retirement. There is also a good chance that you are a reader who has done very well saving for retirement. You have worked hard and intentionally saved a meaningful portion of your income every year allowing you to build a nice nest egg. You might be right on track with your retirement savings, or you may even have more than enough money saved for retirement. If that’s you, then congratulations are in order because you are in the minority! What you have accomplished is super-exciting and commendable!! Now that you have meaningful savings you should check out my last post: 3 Big Reasons Dividend Growth Stocks Are The Ultimate Long-Term Investment For Retirement Income. If this is you, I want you to help me share this simple strategy with the young people in your life. One of my goals is to help more people get this right from the beginning. You have done well at this and you shouldn’t shy away from sharing your story! You can help future generations change the trajectory of their lives by showing them that committing to some simple disciplines early on will set them up with a future of no regrets. Want To Learn More About Investing Your Retirement Funds?